The weather has changed very often in recent days, sometimes it is warm and then 10 degrees colder and heavily clouded. Like this morning when we approach the Forth bridge that takes us to the south. We only have to be in Newcastle at half past five, so we still have some time to drive around and I choose some roads under Edinburgh towards the east coast that we do not know yet. We see some unknown villages and therefore new buildings and landscapes. And that's how we arrive at The Borders, the southeastern province or actually council area, as it is called here. 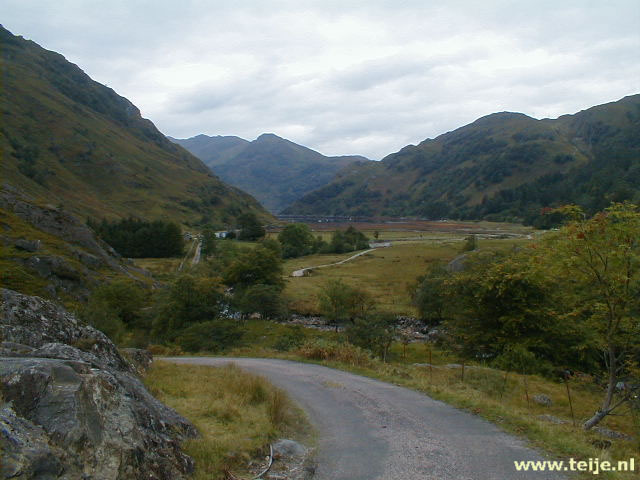 Many tourists skip that part of Scotland because you rarely hear about it and there are no major attractions and we also skipped it for years. Until we drove through it once and discovered what a beautiful area it is. And there are also castles, maybe less than in other parts of Scotland, but they are there, as here in Ayton. It must be a very beautiful castle but it is closed today so we can not get any closer to make a closeup. 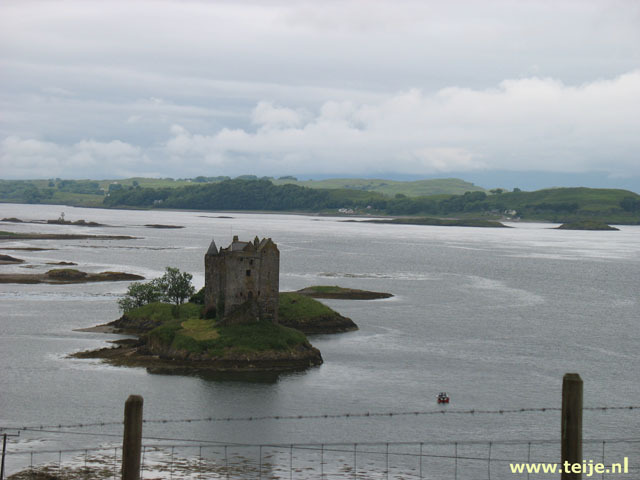 So we just take a picture of the piece that we can see from the road, the last Scottish castle for the coming time. We have seen enough castles during this trip, also from the inside. In the fishing village of Eymouth we make our last stop and walk through the village. In the center we see a statue of Willie Spears who turns out to be a local hero because he led a revolt against the Church of Scotland when it wanted to introduce a 10% tax on fish. Near the harbor we find a restaurant where we drink some coffee and luckily we can sit outside. But we take care not to feed the seagulls, read the text on the right picture, they take even children with them! Now we only have to drive to Newcastle for one and a half hour and then wait until we can board the boat. We never like such a long boat trip and are happy when the morning has arrived. By 10 o'clock we can finally get off the boat and then it is only 2 more hours to Groningen, our hometown. Again a beautiful journey. It is a pity that we have few or no photos of a few days, but we have had a great time again and hope that next year we will have the opportunity to visit Scotland again, because we continue to find it a fantastic country, no matter how often we have already been there.